Phreesia helps medical groups, health systems and payers leverage patient intake to achieve their strategic objectives. When we founded Phreesia in 2005, we saw an opportunity to put innovative technology into the hands of patients to automate check-in and streamline front-office workflow. Over the last decade, our platform has evolved as we incorporated eligibility and benefits verification, built our own payments platform and integrated with the leading practice management and electronic medical record systems. Since co-founding Phreesia in 2005, Evan Roberts has led the company’s efforts to bring the highest value to its clients. 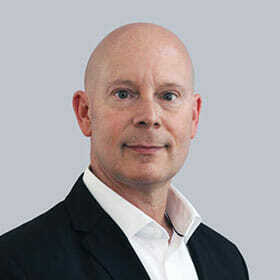 As Chief Operating Officer, he leads Phreesia’s Customer Solutions and Product Management teams. He previously served as Chief Technology Officer and also Vice President, Customer Solutions, where he was responsible for bringing Phreesia’s patient intake management solutions to healthcare organizations across the country. Prior to co-founding Phreesia, Evan was a senior sales engineer at Spotfire, where he helped to penetrate new markets, resulting in significant net new revenue. There, he developed innovative applications and trained and managed his team to support and nurture these new markets. He holds a BS in computer engineering from Tufts University. 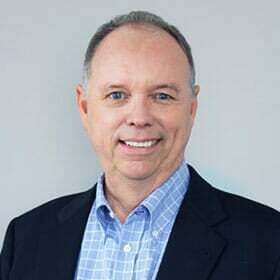 Tom Altier brings more than 30 years of financial management experience to his role at Phreesia, including a “Big Four” career foundation and experience in several venture-backed, emerging-growth and SaaS businesses. As Phreesia’s CFO, he oversees the company’s budgeting, forecasting, monthly reporting, financial analysis and internal controls. 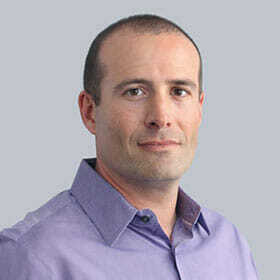 Prior to joining Phreesia, Tom was CFO at Perceptive Pixel, which was acquired by Microsoft in 2012. He is a CPA and holds a BA and MBA from Columbia University. Charles Kallenbach began his legal career at Jones Day, and has practiced law for 27 years, including over 20 years in-house. He manages Phreesia’s Legal, Compliance, Risk, Privacy and Security teams. Prior to joining Phreesia, Charles spent nine years as General Counsel and Chief Legal Officer for Heartland Payment Systems, which was acquired by Global Payments in April 2016. He has a BA from the University of Pennsylvania and a JD from the New York University School of Law. 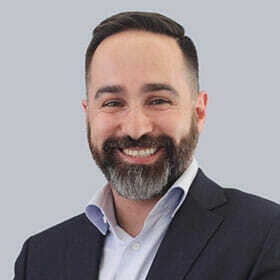 Michael Davidoff is responsible for Phreesia’s go-to-market strategy and oversees Phreesia’s Marketing, Business Development and Sales and Marketing Operations teams. Before joining Phreesia, Michael held research and product development roles at the March of Dimes, where he led informatics initiatives and published epidemiology studies in peer-reviewed journals. Prior to that, he was with Merck & Co., where he studied the feasibility of drug-delivery targets. Michael earned an MPH from the University of Minnesota and a BS in Biophysics from Boston College. Dan Nathan joined Phreesia in 2007. 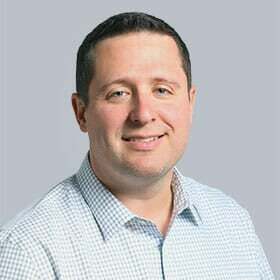 As Chief Technology Officer, he oversees Phreesia’s core and integration platforms, and is responsible for the company’s Patient Intake, Data Center Operations, Site Reliability Engineering and Analytics teams. Prior to joining Phreesia, Dan was a developer on Spotfire’s professional services team, working with users analyzing data in pharmaceutical research, oil and gas exploration, and semiconductor manufacturing. He holds degrees in computer science and ceramic engineering from Alfred University. Will Rideout co-leads Phreesia’s provider network sales strategy, and is responsible for Phreesia’s Direct Specialty Sales and Sales Development teams. With more than 20 years of healthcare operations, consulting and sales experience, Will’s leadership focuses on cultivating and promoting top talent, driving commitment and accountability, garnering insights through data analysis, and achieving “mutual best interest” outcomes. Prior to joining Phreesia, Will was a top producer at MDeverywhere, Misys Healthcare Systems and Allscripts. He earned his BS at Cornell University and his MBA from the University of North Carolina at Chapel Hill. Marc Winchester co-leads Phreesia’s provider network sales strategy, and is responsible for Phreesia’s Direct Multi-Specialty and Health System Sales teams. He brings more than 30 years of industry experience to his role, and his background spans the healthcare IT spectrum, including practice management, electronic health records, telemedicine, revenue cycle management and patient engagement. 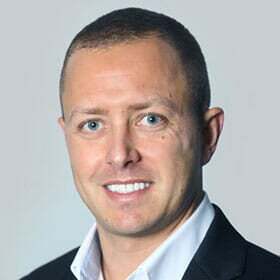 Before joining Phreesia, Marc held executive roles with Misys Healthcare Systems (now Allscripts), Digital Healthcare Systems (now EMIS PLC) and Intuit. He is a graduate of the University of North Carolina at Chapel Hill. Amy VanDuyn brings more than 20 years of HR experience to Phreesia, where she is responsible for the design and implementation of all talent strategies, policies and processes across the company. 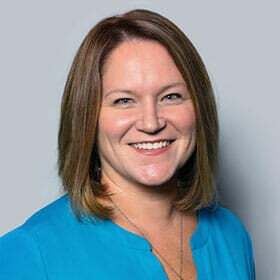 Prior to joining Phreesia, Amy worked in human resource leadership roles across many industries, including hospitality, SaaS and public relations, contributing to the growth and culture of companies at a variety of sizes and stages. Her passion lies in working closely with business leaders to define and implement talent strategies that align with their business goals, and creating environments where people can grow and excel in their careers. Amy holds a BA in hospitality business from Michigan State University. David Linetsky is responsible for cultivating Phreesia’s partnerships with Life Sciences companies, supporting them in the development of healthcare products that deliver value and engage patients in their care. He has worked at Phreesia for more than a decade and held key leadership roles, including Vice President of Analytics and Insights, and Vice President of Finance. Prior to joining Phreesia, David worked in academia as a researcher and instructor in the fields of biotechnology, mathematics and philosophy. David holds a BS in mathematics from the University of Alberta. He also earned a master’s degree and was a PhD candidate in mathematics and logic at the City University of New York. 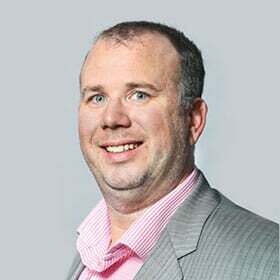 Sean Markey leads Phreesia’s Life Sciences Sales team and focuses on pharmaceutical sales, marketing, media, technology, data and SaaS solutions. He has more than 20 years of experience with products spanning the life sciences industry, including medical devices, over-the-counter and consumer-packaged goods, pharmaceuticals and diagnostics. 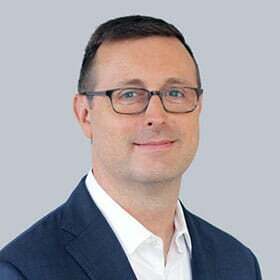 Prior to joining Phreesia, Sean held executive roles with WebMD/Medscape, Proscape Life Sciences, AmerisourceBergen, Pfizer, Novartis and Johnson & Johnson. He is a graduate of Shippensburg University of Pennsylvania. 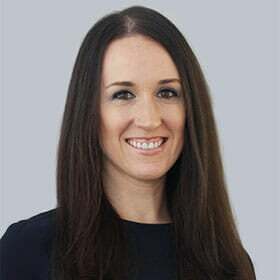 Kristin Roberts is responsible for the positioning and go-to-market strategy for Phreesia’s products and applications. 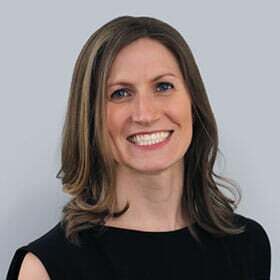 Before joining Phreesia, Kristin was a management consultant at Booz & Company, where she led product launch and growth strategy engagements for its life sciences clients. She also worked as a consultant at ZS Associates, specializing in quantitative physician market research and sales deployment optimization. Kristin earned an MBA from Columbia Business School and a BA in public health studies from Johns Hopkins University. Kharen Hauck leads the company’s Demand Generation team, collaborates on Phreesia’s marketing growth strategies and executes campaigns. 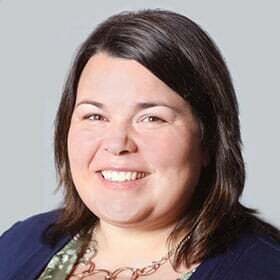 She also oversees the implementation of marketing technology tools that provide quantitative and qualitative feedback on campaign performance. Prior to joining Phreesia, Kharen held senior account management positions at both media strategy and full-service creative agencies, specializing in life sciences. She is a graduate of West Chester University. Aaron Steinfurth leads the Client Services team at Phreesia, where he is responsible for the implementation of new clients, the optimization of existing clients, and assists with pre-sale activities and product development. Aaron brings more than 15 years of industry experience to his role. Prior to joining Phreesia, he served as a client director for Accretive Health, an imbedded management consulting group, where he focused on healthcare operations and revenue cycle. Prior to that, he worked as a management consultant at Huron Consulting Group, leading several revenue-cycle improvement initiatives for large hospitals. He earned an MBA from the University of Massachusetts Amherst and a BS in finance at the University of Colorado at Boulder. Pat Horne leads Phreesia’s Client Success team and is responsible for managing and continuously refining the company’s customer-relationship strategies to ensure an optimal client experience. He brings more than 15 years of experience to his role, specializing in client-focused initiatives that drive customer engagement and success across the enterprise. Prior to joining Phreesia, Pat was the implementation manager at Decision Academic, an academic advising and curriculum management solution. He has a BA in economics from Carleton University. Audrey Gato is responsible for managing Phreesia’s strategic partnerships and identifying new market opportunities to drive growth. Prior to joining Phreesia, Audrey was a management consultant at IBM, where she led growth strategy and operational improvement engagements for technology clients. She also worked at Cerner Corporation, where she managed a team of engineers to implement technology solutions in the United Kingdom. Audrey holds an MBA from Columbia Business School and a dual BA in systems engineering and economics from Washington University in St. Louis. Edouard Valla leads Phreesia’s Product Management team, which is responsible for setting the company’s product vision and delivering innovative solutions to its customers. Before joining Phreesia, Edouard worked in software development for technology startups, including a company that provides voiceover IP services and another that manages international donations through an online marketplace. He is a Returned Peace Corps Volunteer, having spent two years in Senegal, West Africa. Edouard holds an MBA from Columbia University and earned a BA from Colgate University. 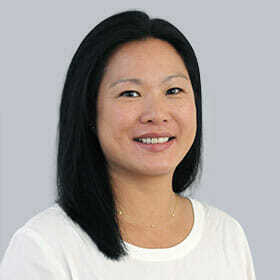 Kristine Chung Salcedo is the Assistant General Counsel and Chief Privacy Officer at Phreesia. She is responsible for overseeing the company’s privacy program and compliance with laws, regulations and contracts. Prior to joining Phreesia, Kristine helped manage the privacy and compliance programs for a national cancer-specialty health system. She earned her law degree from the University of Wisconsin and holds a BA in Psychology from Barnard College, Columbia University. Ashwin Altekar brings more than 15 years of risk management experience to the Phreesia team. As the company’s information-security leader, Ashwin executes a broad agenda to defend Phreesia from advanced adversaries, manage audit and compliance, and differentiate Phreesia’s products and services through information security excellence. Prior to joining Phreesia, Ashwin led several successful information-security transformation initiatives at Express Scripts and Heartland Payment Systems. He also designed and taught cybersecurity courses at the University of Missouri-Saint Louis. 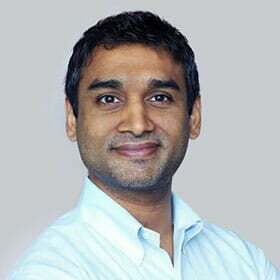 Ashwin holds an MBA and a BS in computer engineering from the University of Texas at Austin. Cathy Nathan manages Phreesia’s Business Systems, and is responsible for testing, deploying and monitoring new systems, tools and processes that drive operational success across the company. 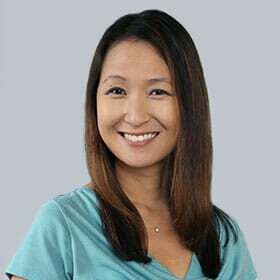 She brings more than a decade of Phreesia experience to her current role, first serving as an Experience Coordinator, helping early adopter clients implement the Phreesia solution in their practices. Later, she served as Phreesia’s Vice President of Client Success, working to build and expand the company’s Client Support and Client Success teams. Prior to joining Phreesia, Cathy was the executive director of the University of Manitoba Students’ Union, where she oversaw operations for a wide range of business and service groups. She studied at Carleton University. As VP of Finance, Jamie McCarthy leads Phreesia’s payments business and oversees budgeting and forecasting, billing operations and inventory management. In his previous Phreesia role, he was a Senior Director of Business Development, tasked with managing strategic partnerships and executing new partnership opportunities. Prior to joining Phreesia, he spent seven years at LLR Partners, a Philadelphia-based private equity firm, investing in rapidly growing technology companies. Jamie has a BS degree in economics from The Wharton School and a BS degree in engineering from the University of Pennsylvania. Laichun Peterson is responsible for a wide range of Phreesia’s internal financial activities. She manages treasury, payroll processing, accounts payable and receivable, as well as the company’s financial reporting. Her role also includes forecasting and budgeting responsibilities. Prior to joining Phreesia, Laichun was a senior manager at Crowe Horwath LLP, working with hedge funds, real estate investment trusts and nonprofit organizations. She also served as the controller for one of Goldman Sachs’ subsidiaries. Laichun is a Certified Public Accountant and a member of the American Institute of Certified Public Accountants and the New York State Society of Certified Public Accountants. She earned a BA in accounting from St. John’s University in New York. Garrett Fienberg oversees Phreesia’s Sales and Marketing Operations, as well as the Sales Development team. In his role, he is responsible for developing and refining Phreesia’s sales strategy and processes. 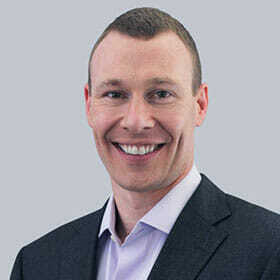 Before joining Phreesia, Garrett worked in management consulting, venture capital and investment banking. He also is the founder of several venture-backed companies in the energy services, communications, healthcare, sports and entertainment industries. Garrett holds an MBA from Northwestern University’s Kellogg Graduate School of Management and a dual BA in economics and political science from the University of Michigan. Jack Callahan joined Phreesia in 2010 to help build and expand the company’s integration team. He is now responsible for integration development with external systems and deployment to Phreesia customers. Jack also oversees Phreesia’s early career program, which strives to hire, train and mentor young engineers at the company. Prior to joining Phreesia, Jack was a developer and architect at Spotfire, where he worked on the professional services team helping clients from a wide range of industries gather and analyze their data. He holds a BS in computer science from Worcester Polytechnic Institute. Sandra Schittone is responsible for the acquisition and retention of Phreesia’s Health Systems and Strategic Accounts. A 10-year Phreesia veteran, she has held several key roles over the past decade, helping to guide the company’s corporate strategy, while working to align the customer’s voice with product and operational offerings that meet the needs of Phreesia’s largest and most complex clients. 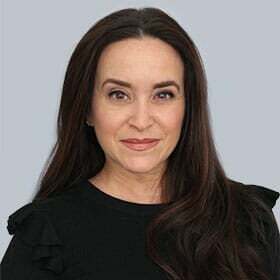 Prior to joining Phreesia, Sandra held leadership positions with Capital One, Viacom and Diebold, focusing on healthcare revenue cycle management, consumer engagement and POS technologies. Sandra is an ambassador and board advisor to the Pink Ribbon Story Foundation, a nonprofit organization dedicated to sharing breast-cancer survivor stories. She also is an active member of the Healthcare Businesswomen’s Association and a founding member of Children Helping Children. Sandra earned a BS from Florida State University. Chaim co-founded Phreesia in 2005. Under his leadership, Phreesia has established a broad national footprint, developed strategic partnerships with some of the world’s largest healthcare companies and earned accolades for its role in generating workplace efficiencies and improving clinical care. In 2011, he was a finalist for Ernst & Young’s “Entrepreneur of the Year” award, and has been featured in the Stanford Social Innovation Review as a healthcare innovator. Prior to co-founding Phreesia, Chaim led the introduction of the high-end analytics software company, Spotfire, into the pharmaceutical marketing space. Ed is a partner at HLM Venture Partners. 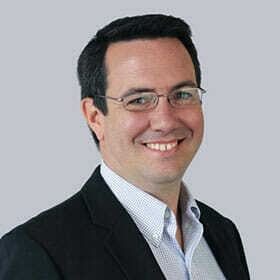 Previously, he was a founding partner of Cahill, Warnock & Co. (now Camden Partners) and a managing director at Alex. Brown & Sons, where he headed the firm’s healthcare group. During his leadership at Alex. Brown & Sons, the firm underwrote public offerings or provided merger advisory services for over 200 healthcare companies and several leading biopharmaceutical companies. Ed is a director at Masimo Corp. and a trustee of Johns Hopkins Medicine, the Johns Hopkins Health System Corp. and Mercy Health Services. Alan brings more than 20 years of operating, strategy and investment experience to Polaris Partners. He became a partner at the firm after 18 years with the Washington Post Company, where he served as president, board member, chief financial officer, president of Newsweek, head of newspaper marketing and head of corporate business development. Alan also was responsible for early stage technology investments in the company’s cellular, distance learning and educational software and information and e-commerce services. 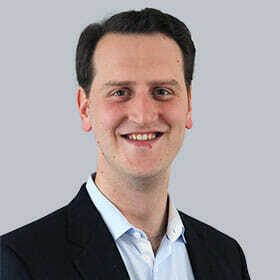 Previously, Alan was also a partner at the Boston Consulting Group, an international management consulting firm. With more than 15 years of private equity and investment banking experience, Scott leads LLR Partners’ investments in healthcare and education services. 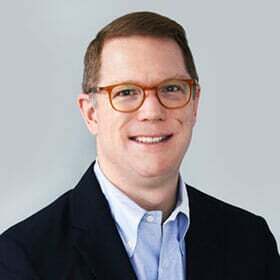 Prior to joining LLR, Scott was a principal at Draper Triangle Ventures, an investor in high-technology startup companies in Ohio and Pennsylvania. 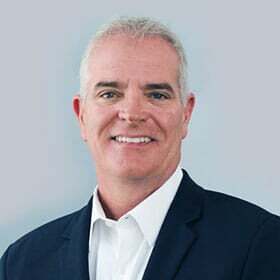 Earlier in his career, Scott served as an associate at Advanta Partners, and worked in investment banking at William Blair & Co. and JP Morgan and Co. Scott’s current investments include Phreesia, IOD Incorporated, Physicians Immediate Care, Regency Beauty Institute, Vector Learning and Vivere Health. Michael was most recently Managing Partner of Optum Ventures, a leading health services company focused on digital health innovation. He also co-founded and served as CEO of Humedica, a pioneer and leader in the field of population health management and big data. In 2013, Humedica was acquired by UnitedHealth Group (UHG), and he broadened his role within the company to become President and CEO of Optum Analytics. Prior to launching Humedica, Michael served as Senior Managing Director at Leerink Partners, a leading healthcare investment bank. Michael was also President and CEO of PHARMetrics, a healthcare informatics company, which was successfully sold to IMS Health in 2005. 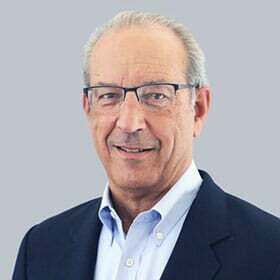 He serves as Founding Chairman of the Board of Phreesia, as well as Chairman of the Board of BroadReach, a global healthcare company headquartered in Cape Town, South Africa. He is an Entrepreneur in Residence at Harvard Business School, focused on healthcare innovation, and a mentor and speaker at the Harvard Innovation Lab (iLab), a unique collaboration and education space designed to foster entrepreneurship. Michael is an advisor at the GLG Institute, a community of senior executives exchanging leadership and operational experience. He is also an Advisory Board member of the Innovation and Digital Health Accelerator at Boston Children’s Hospital. Michael is a member of the Board of Directors of The College Diabetes Network (CDN), whose mission is to empower and improve the lives of students living with Type 1 diabetes through peer support and access to information and resources. He received his MBA from Harvard Business School and earned his bachelor’s degree in Economics from Brandeis University. 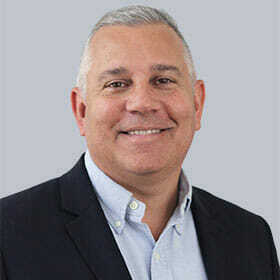 Victor joined Ascension Ventures (AV) from Allscripts-Misys, a $3 billion healthcare technology company, where he led corporate development, strategic planning and other operating initiatives. Victor leads AV’s healthcare technology investments and brings more than 17 years of transaction and healthcare experience in the hospital, physician, revenue cycle and home health markets. At Allscripts-Misys, he served as vice president of corporate development after fulfilling a similar role at Misys. Prior to Misys, Victor served as a vice president with Lehman Brothers, where he focused on the communications, media and technology sectors. 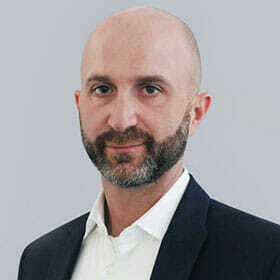 Dusty is Partner, Strategic Investment, at Echo Health Ventures. In that role, he is focused on identifying, investing in and supporting the growth of healthcare IT and services companies. In addition to Phreesia, Dusty serves as a director on the boards of lifeIMAGE and FastMed. Dusty served on the Cambia Health Solutions strategic investing team for three years before joining Echo Health Ventures. Prior to this, he spent the majority of his career in financial services, with a focus on healthcare mergers and acquisitions. Dusty earned a degree in economics from the University of Pennsylvania. Mark is a Professor of Clinical Medicine at the University of California at San Francisco and Visiting Professor at the School of Public Health at the University of California at Berkeley. He co-chairs the Guiding Committee of the Health Care Payment Learning and Action Network. A nationally recognized leader in healthcare improvement and health policy, Mark was the founding president and former CEO of the California HealthCare Foundation, a philanthropic organization focused on improving the health of Californians, which he led from 1996 to 2013. He was elected to the Institute of Medicine in 2001. Tom is a managing director at Sandbox Industries. He is the board chairman for Patientco and serves on the boards of HeartFlow and Nexidia, among others. Before joining Sandbox, Tom matched at Yale School of Medicine for his residency and completed his first year of medical training at Greenwich Hospital. He also worked on clinical studies at the Insall Scott Kelly Institute for Orthopaedics & Sports Medicine, outcomes research at the National Cancer Institute and in the cardiothoracic surgery department at New York Medical College.